He told interviewer Le Ondra Clark in 2012 of a meeting with the leadership of the American Psychological Association in 1968 in which he detailed his foundational observation: “Psychology is part of America, black people are invisible in America, [and so] they’re invisible in psychology.” This invisibility, along with engrained expectations that blacks were in general inferior to whites, was not based on data but culture – and therefore was hardly worthy of the name ‘science.’ “You created a ‘science’ that reflects the belief of the society,” he recalled saying. And so he pushed academic psychologists to recognize how the African American experience diverged from the white American experience, and so restored a measure of rigor to the science and in turn helping craft the first of what became a tapestry of ethnically diverse psychologies. An article in a popular black-oriented magazine made him the voice of the emergent field. “His seminal article in Ebony magazine in 1970, ‘Toward a Black Psychology,’ was instrumental in beginning the modern era of African-American and ethnic psychology,” reads part of a eulogy appearing on the University of California Irvine Libraries website. Joseph L. White was born on December 19, 1932, in Lincoln, Nebraska, although his family soon moved to Minneapolis, Minnesota where White grew up as he put it jokingly, a “sunburnt Swede.” As a youth his ambitions were limited to being a waiter in a fancy hotel, but his mother, despairing that her son was starting to lead a dissolute life with sketchy friends — his high school girlfriend, Mattie Della, would later gain attention as the mother of the musician Prince – shipped him to San Francisco to live with her sister. When he reached California and found discriminatory regulations prevented him from waiting tables at nicer restaurants in San Francisco, that aunt convinced him to attend college. The year 1968 – the year Martin Luther King Jr. was assassinated — was a watershed for White and for black psychology. After the unsatisfying meeting with APA leadership, White helped found the Association of Black Psychologists. The association’s Journal of Black Psychology followed in 1974. The next year, White started teaching at UC Irvine. He would remain there the rest of his career, serving as supervising psychologist and director of ethnic studies and cross-cultural programs. He also mentored more than 100 students. Off campus, served on the California State Psychology Licensing Board, chairing it for three years, and was a trustee of The Menninger Foundation in Houston. 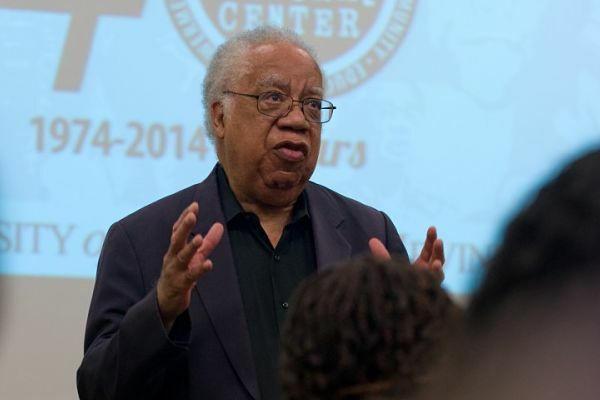 While at Irvine, White wrote several books, including 1984’s The Psychology of Blacks: An African-American Perspective, 1989’s The Troubled Adolescent and 1999’s Black Man Emerging. And in 2008 he received a presidential citation from the American Psychological Association in honor of his career achievements. This entry was posted in Impact and tagged Black Psychology, Joseph L. White, Passings, Racial discrimination. Bookmark the permalink. Post a comment or leave a trackback: Trackback URL.